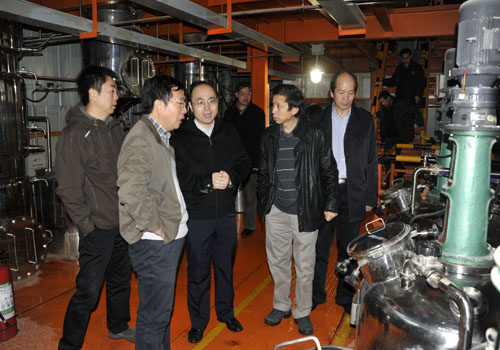 On the morning of November 25, 2012, the project technique appraisal of “new technique of fuel ethanol and biogas dual fermentation coupling circulation” totally carried out by Jiangnan University and Tianguan Group is held in Tianguan Group. 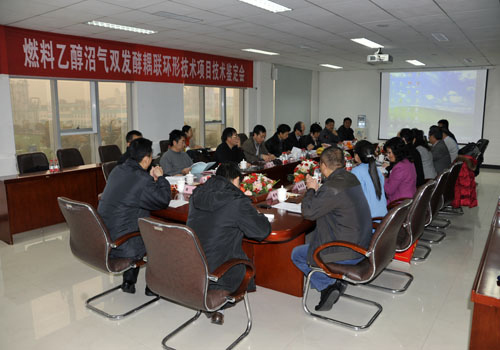 This technical appraisal is hosted by China National Light Industry Associations and the appraisal committee is formed by inviting experts in the industry. The appraisal committee listened to the work reports and research reports carefully, carefully examined the technical data, testing reports of product quality, technical novelty evaluation reports and economic and environmental analysis and user report, investigated pilot plant test site and carried out a discussion. The appraisal committee affirmed unanimously that the project formed green manufacturing technique of fuel ethanol production without industrial waste water discharge for the first time, proposed the new concept of fermentation ecological engineering for the first time, lowered production cost, brought fundamental and directional breakthrough for the fuel ethanol waste water for such raw materials as cassava and corn whose technical route and technical indexes reach the international leading level, and suggested to promote industrialization.